Since the ICRA takes as one of its objectives to transfer knowledge to society and business network, there are structures such as PLANTEA. The Water Science and Technologies-Research Platform (PLANTEA) is a space where research and process demonstration projects can be conducted in pilot plants of different sizes (up to semi industrial scale). 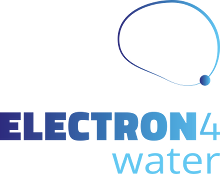 These platform allows the execution of research projects in advanced treatments of both water and wastewater systems, and also allows the implementation of new monitoring tools in a semi industrial scale. 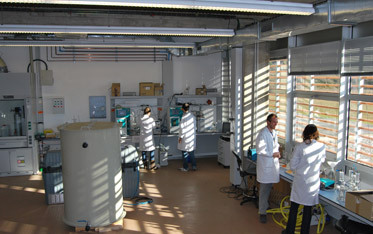 This facility has been 50% co-financed by the EU’s European Regional Development Fund (FEDER) under the Catalan FEDER Operative Program 2007-2013 and also freceived funding from the MINECO (The Spanish Ministry of Economy and Competitiveness) directly and through the Third Additional Provision (DA3ª) of the Catalan Statute of Autonomy.
. the study of fluvial ecosystems under different conditions in a Experimental Streams Facility (ESF). For the first goal, 120 m2 of laboratory space at ICRA have been conditioned to allocate pilot plants and monitoring equipment to study, both at laboratory and pilot scale, water and wastewater transport and treatment systems. To facilitate a direct access to real wastewater, a connection with a near by sewer network was built, so the pilot plants present in this laboratory can have a direct access to fresh domestic wastewater. This innovative research platform allows testing novel processes and new scenarios before being applied in real systems, thus identifying some scale-up problems before they happen in full-scale. Currently, the main users of PLANTEA are the researchers from the Technologies and Evaluation Area at ICRA. However, the multidisciplinarity of the research projects carried out at ICRA ensures the continuous involvement of researchers of other Areas at ICRA. 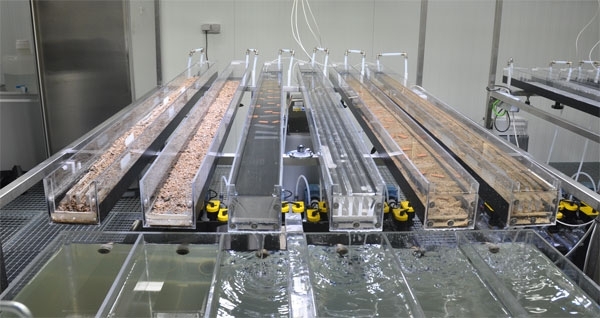 For the second goal, the previously mentioned facility of artificial streams (Experimental Streams Facility) allows the manipulation of different ecological variables and the characterization of the ecosystem response. 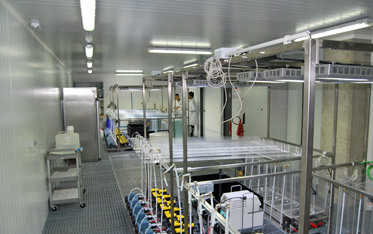 In this regard, a facility with 4 functional units with 6 artificial streams each has been designed and build at the ICRA, allowing experiments with 24 channels simultaneously, and therefore providing great flexibility in experimental design (for example, 6 treatments with 4 replicates per treatment). This facility allows the study of the behavior of rivers in different situations such as drought response in regard to chemical pollutants and / or biological fluctuations and temperature among others. It aims to play a key-role in the research activities performed by the research lines of stream ecosystems and ecotoxicology. This facility is unique in Europe. We can find others in Vienna, Berlin and London, but the most similar one is in the USA, in the Environmental Protection Agency (EPA) in Cincinnati, Ohio. In the coming years, PLANTEA will be expanded with the acquisition of more pilot plants to carry out projects, specially targeting industry needs.